Der Artikel UFO: UFO 1 (Papersleeve) wurde in den Warenkorb gelegt. Das legendäre UFO 1 Album nun remastered und im Papersleeve erhältlich. UFO paved the way for British heavy metal and astounded fans back in 1970. The group was flash and showy on stage, but as their first album ‘UFO 1’ reveals, they had bags of energy and ideas in the studio too. Here is the sound of a group with a big future that would come to dominate the Seventies. 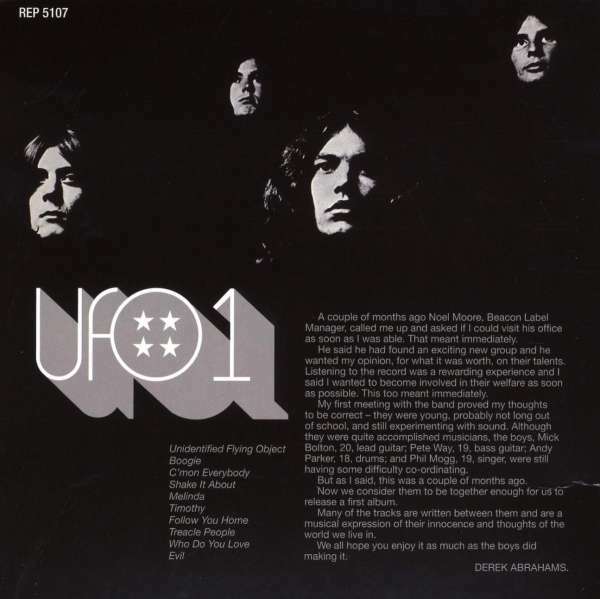 This early version of UFO shows Phil Mogg (vocals) Pete Way (bass), Mick Bolton (guitar) and Andy Parker (drums) developing their space rock style with blues roots. ‘Unidentified Flying Object’ is a typical song of the period, showcasing Bolton’s Hendrix influenced guitar and Mogg’s intense vocals. 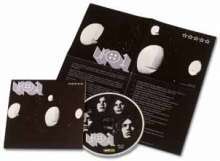 The CD includes the original artwork, while the liner notes tell the story of the band’s career and has an exclusive interview with Phil Mogg.